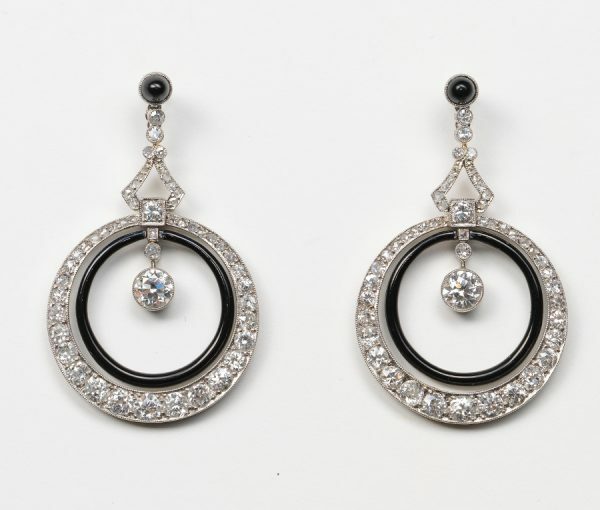 A pair of platinum and diamond (app. 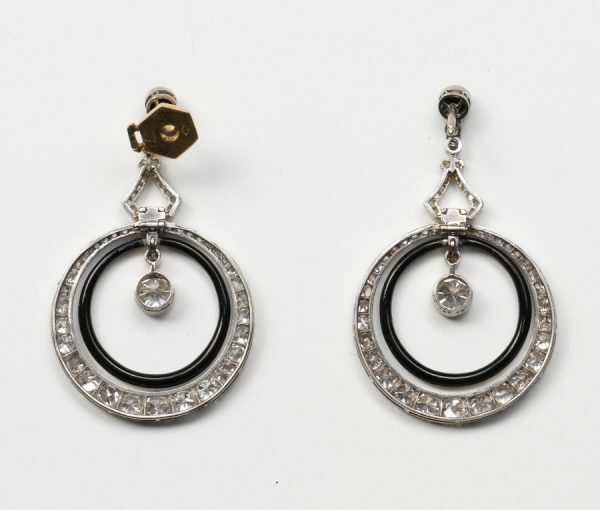 3.6 carats) Art Deco earrings set with old-cut diamonds, the top is a small cabochon-cut onyx below which are two hoops connected by a triangle: the inner hoop is decorated with black enamel and the outer hoop is set with old-cut diamonds, suspended inside the hoop is a larger old-cut diamond (app. 0.4 carats), France, circa 1920.